Who wants to eat this pizza with me? Do you like fettuccine Alfredo? What was the first alcoholic beverage you've ever drank? Do you like crawfish? Do you like catfish? I usually choose chocolate to be on the safe side. But I love magum where you can custom your own ice cream. I like to have mine with nuts and dried rose petals. Yumm!! She's also super popular in Japan. Mango, Raspberry, Berries in general, lemon etc. Depends on what I'm in the mood for; chocolate, strawberry, orange, raspberry, or cookies n creme. Most flavors, but alas because I'm lactose intolerant, if I eat even a small bowl full I will be in pain for a week. It varies. Cookie dough, cookies and creme, peanut butter panic, tin roof sundae. Maybe a peanut butter and chocolate mix. I'M also a fan of Al Yankovic. Rum and Raisin or Peanut. Either Mint or Chocolate Chip. 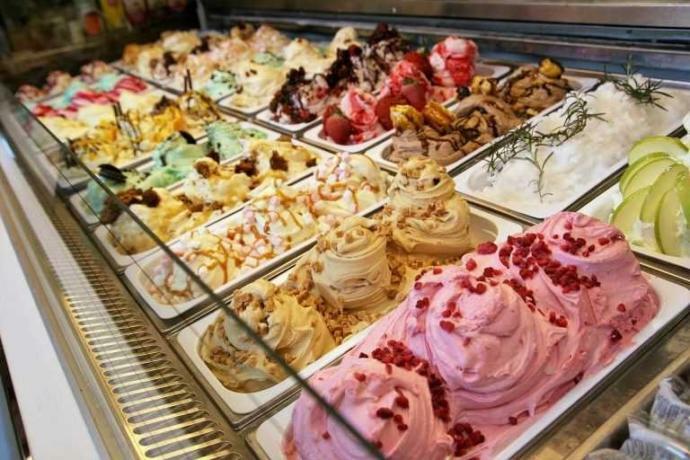 Home > Food & Beverage > What's your favourite ice cream flavour?